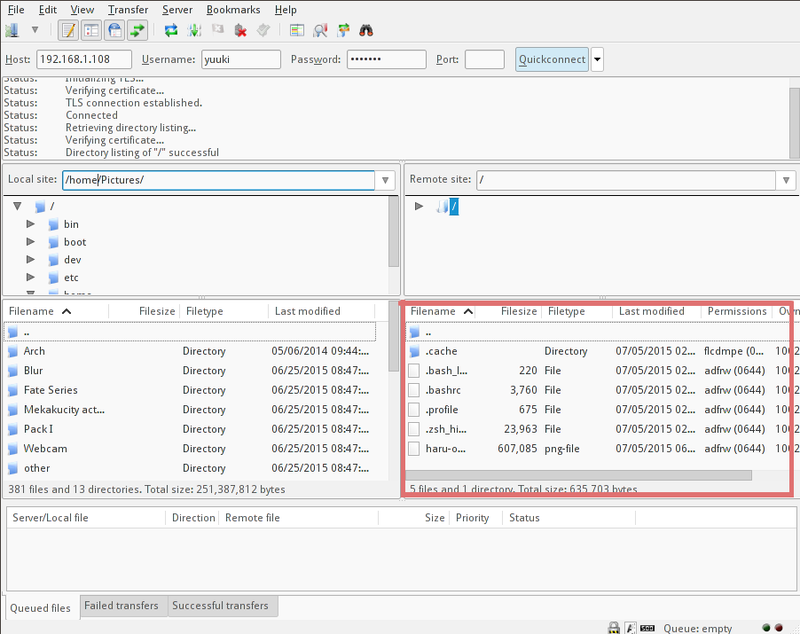 FTP (File Transfer Protocol) is probably the most popular method of uploading files to a server. 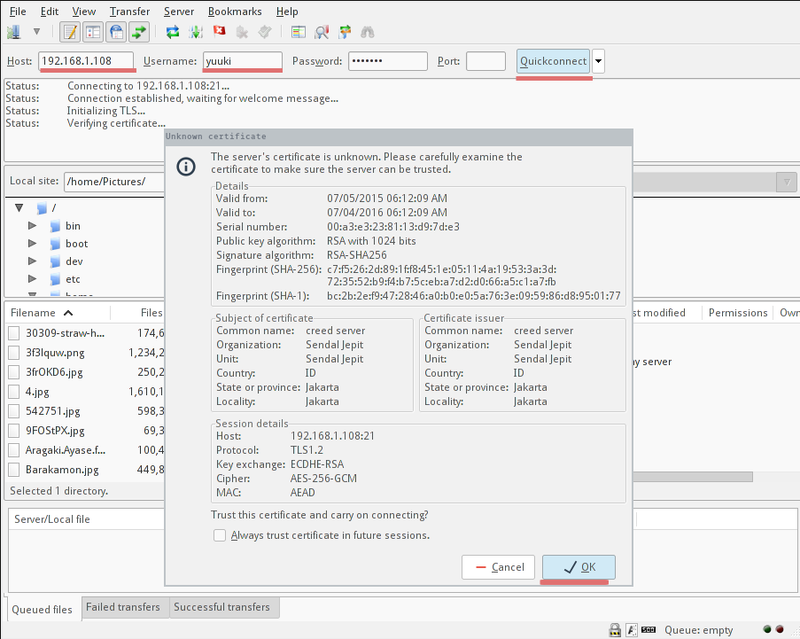 ProFTPD is a popular and easy configurable FTP server for Linux systems that supports SSL / TLS encryption. FTP is an insecure protocol because all passwords and all data transferred in clear (as plain text). By using TLS, the whole communication can be encrypted, thus making FTP a safe protocol to transfer files. This article describes how to configure proftpd with TLS in Ubuntu server 15.04. When the installation begins, you will be asked whether to run Proftpd as an inetd or standalone service. Choose the standalone option here and then Ok.
Once Proftpd is installed, you will have to change some configuration files. The Proftpd configuration file is located in the /etc/proftpd/ directory. I'll edit the proftpd.conf file with the nano editor. 1. Anonymous FTP, FTP server provides access to anyone without the need to have a user account and password. 2. Access with username and password, only users that have a user account and password that can access the FTP server. I will configure option 2 here. Anonymous FTP has been popular at the beginning of the internet era but today there would be so much misuse of anonymous FTP servers that this option is only usable in closed environments like a home or company network. Before you create a user for Proftpd, please add /bin/false to your /etc/shells file. and now you will create a user with a home directory where he will get access to by FTP. I will disable shell access for this user by assigning the "/bin/false" shell to him to ensure that he can not login by SSH. My username is named "yuuki", please replace yuuki with your username in the next command. 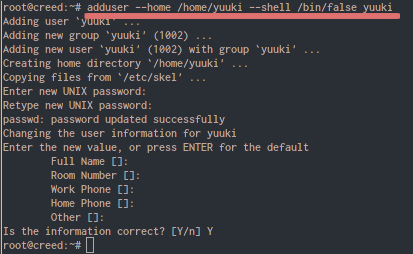 The above command will create a new user called yuuki with home directory /home/yuuki/ and without shell access /bin/false. 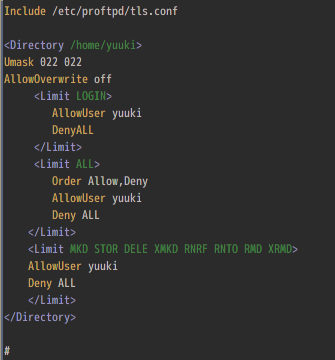 And now configure Proftpd to allow the user yuuki to access the FTP server. and then restart the Proftpd. Until this stage, FTP can already be used without encryption. Now we will make it safe by enabling TLS. The command will generate a certificate file proftpd.crt in the /etc/ssl/certs/ directory, and a certificate key file proftpd.key in the /etc/ssl/private/ directory. Now back to the Proftpd directory and configure Proftpd to use SSL the certificate that you generated. and then click on Quickconnect. You will be asked to confirm the SSL Certificate, just click ok.
Now you have been logged in to the FTP Server with TLS/SSL certificate.